In the Historical Fiction novel The Bronze Bow by Elizabeth George Speare, an 18-year-old must run away from his village into the mountains, when he meets a man named Rosh, and together they must fight off the Romans. Daniel is fired by a single passion to drive the Roman Legions from the land of Israel. In nearby Capernaum, a rabbi is teaching a different lesson. Time and again Daniel is drawn to the teachings of Jesus of Nazareth, only to turn away, disappointed and confused by Jesus’s lack of action in opposing the Romans. As a result of this book being a huge success, The Bronze Bow won a New Berry medal in 1962. In The Bronze Bow, Daniel escapes from his master Amleck and escapes into the mountains. Later he comes and visits his village of Capernaum to see his sister and his grandma. He meets a man named Simon who is a follower of Jesus. Later Daniel becomes interested in Jesus’s teachings. Daniel meets a girl named Malthace and a boy named Joel. Together they form a group of 20 others, and together their goal is to defeat the Romans. They form a group symbol called the Bronze Bow. For them fighting the Romans is a life or death moment if they don’t win they’ll be killed but if they do win they’ll save everyone from death and going into debt when they have to follow all the rules and pay taxes. Fighting the Romans is what they’ve wanted for a long time, after they’ve watched their ancestor’s die right in front of them, they want the Romans blood, and they want revenge. The major theme was you can always do the impossible because Daniel never thought he was going to face reality and go down to the village to start fresh. Speare conveyed the historical setting of the novel by describing the hill that leads from Capernaum to the mountains so we know that Capernaum is a village and that it leads up to the mountains, because of the hill. One of the author’s greatest strengths as a writer is her ability to bring the characters to life in your mind and to create huge conflicts that really get you excited to read more. For example: Daniel hates the Romans because of what the Romans did to his parents a long time ago, so his plan is to defeat them in some way. One aspect of the novel I found most enjoyable was how the author put a lot of Jesus’s quotes in there and how she put a lot of important information about Jesus and his teachings. She also made you feel like you were in that time period and she made you feel like you were experiencing what it was like for Jesus to talk to you. For example, “The kingdom is only bought at a great price, Jesus said. There was one who came just yesterday and wanted to follow me. He was very rich, and when I asked him to give up his wealth, he went away”. One aspect of The Bronze Bow that bothered me as a reader was how Speare didn’t give that much background on the history of the Romans and what they have done that was so bad that everyone hated them. They did kill a lot of people I just didn’t understand why they did it? For example, Speare starts off the book with the first sentence being, “A boy stood on the path overlooking the sea”. That’s a good sentence to start off a book but it’s not a very good sentence started for this book. I wish Speare had more background info about the Romans because if you didn’t know anything about the background you couldn’t really understand the story as well. I also wish Speare would tell the reader more about Amleck and give more background on him because I didn’t really understand who he was, I knew what he did but not really understanding who he was a person made it a little harder to understand what the conflict was between Daniel and Amleck. While the bronze Bow had both amazing conflicts and some parts hard to understand and boring, Speare designed this book for its action and amazing conflicts. The characters fight to defeat the enemies and gain freedom. I would rate this book 3 ½ stars, because it did have a lot of interesting events but at the same time there were a lot of boring ones, in some parts it was a little hard to follow. I would recommend this novel to people who love the Romans and love the time period in which Jesus was born!!! Overall this book was a great book for the most part and I’m excited to read the other novels that this author has written. In the Bronze bow the author gave very descriptive details describing the historical setting and the historical time period so I knew exactly where the story took place. The author often used historical details because she described the people, places, and events very thoroughly. She used descriptive details to help with the historical details. The book would have probably been better if they had more details, because more details is almost always a good thing and in this book it wouldn’t be a bad idea to put even more details in this book. As I researched I found some inaccuracies in this book. Most of the inaccuracies were the characters. For example, Daniel Bar Jamin and Joel Bar Hezron. Also Ebul was not a real thing but in the Bronze bow it was a holiday. Although some of the characters were real like Simon the Zealot and Jesus. Most of the characters however were made up, only about two of the characters were real. Speare contained a lot of facts and some false information that made her novel historical fiction, by adding false information made her story more interesting. I really liked how she added different information it made the sotry appeal to the reader more that’s why I liked her book! “… And then Jesus said, give her something to eat, and he went away, before her father or mother had a chance to say anything. When he came out to the street no one dared to ask what had happened because there was something about his face-I can’t describe it, but I have seen him look like that at other times, as though he had come to the very end of his strength. Simon and John understood when he looks like that, and they got him through the crowd and back to their house, and everyone knew better than to try and follow them”. 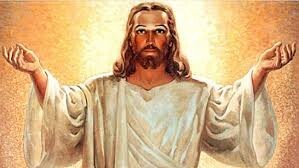 Jesus taught wonderful things and healed many people. Sometimes he would just teach them a lesson, and they would learn from it and amazing things would happen. 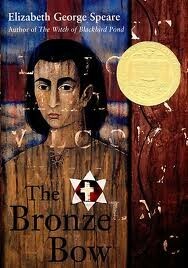 Some of his miracles are in The Bronze Bow, he heals a lot of people in this book and performs miracles. From this People would follow him and ask for guidance from him. They would ask for help and he would help them get through something or in other words he would make wonderful things happen. These wonderful miracles also happened in real life. I came down from the mountains and found out something terrible. My grandmother got sick and she sadly passed away about a day ago. Now all i have left of my family is my little sister named Leah. I have not talked to my sister, Leah in 5 years. She has become a woman and is all grown up. the only problem is that she is afraid of the outside world. Apparently demons have taken her soul and now she is terrified. A doctor once came to er house and checked on her and they discovered demons were inside of her and there no cure for it. She is not evil just very terrified , and thats whats been the after affect all these years. I cant come up to the mountains all the time anymore. It is now my responsibility to take care of my sister now, because she needs my help. She has suffered for a very long time and for me not being in her life for a very long period of time I owe her back, and nows its my time t help her and care for her so she can get all the help thats he needs with these demons. Leah is very scared of people and the outside world. She has not been outside and she has not seen people except grandma and now me because i have finally decide to show up in her life after grandma has passed. I have to be the one to take care of her because she could not take care of herself she would die. She would not eat, sleep, or drink any liquid, thats why i have to take a break and help my sister out. he+Bronze+Bow. N.p., n.d. Web. 02 May 2016. "The Bronze Bow Summary - ENotes.com." Enotes.com. Enotes.com, n.d. Web. 02 May 2016. "Characters." Bronze Bow -. N.p., n.d. Web. 02 May 2016. Hunter, Vera Sidhwa - Poem. "Bow And Arrow Poem." Poemhunter.com. Vera, n.d. Web. 10 May 2016. "Map of Galilee and Northern Israel (Bible History Online)." Map of Galilee and Northern Israel (Bible History Online). N.p., n.d. Web. 02 May 2016.